Excellent Location and service. Enjoyed it. I will come back again. The staff was helpful and friendly. Thank you! It was a lovely introduction to Japan coming and staying here. Felt very welcomed with great staff and amenities :) would definitely stay here again. 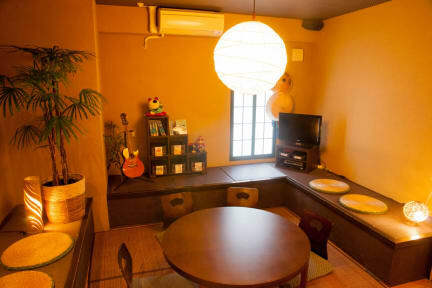 Super friendly staff, and great location in Asakusa, very helpful if you’re coming from or going to Narita airport. The 3 Bed room was a good size. I really enjoyed my stay here! The staff were so friendly and helpful, and really made my stay in Tokyo amazing (they also make really pretty earrings!) Nice location not too far from public transport, and the rooms are clean and comfy! 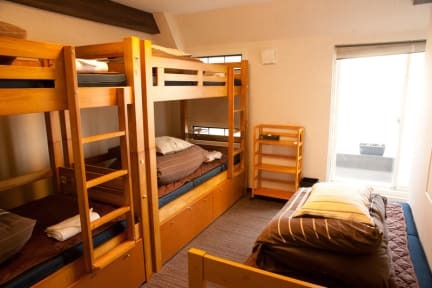 Great value for the private room although its a bunk bed. They could have used some of the spaces available in the room for a mirror or a hook for towels etc. Great place to stay if you're looking for a quiet night's stay. We stayed in a 5-mixed bedroom dorm. Our roommates smelled a little/lot after their day's travel but we talked with the staff and they kindly helped us address the smell problem. The facilities were great other than the fact that the shower was located on the third floor and we were located on the fourth. The halls were very cold in the mornings (we went during the winter) so it was a struggle having to go in/out of the showers.